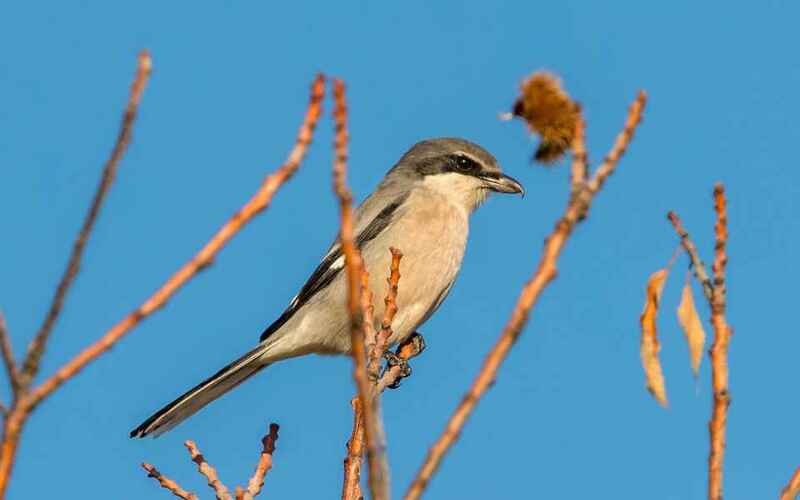 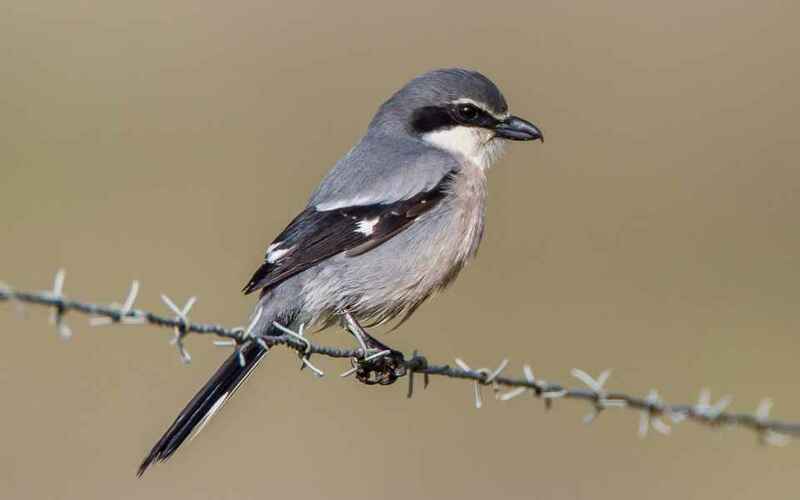 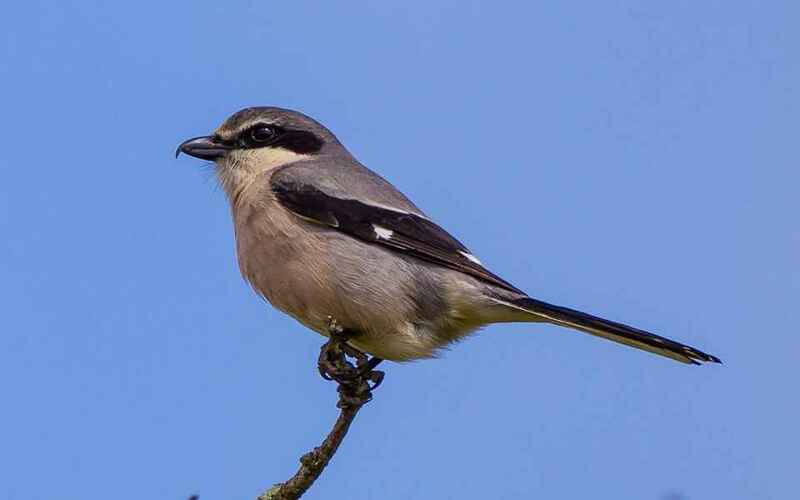 Recently split from the Great Grey Shrike, the Iberian Grey Shrike is a resident "Butcher Bird" for the majority of Portugal, absent only from the north west of the country. 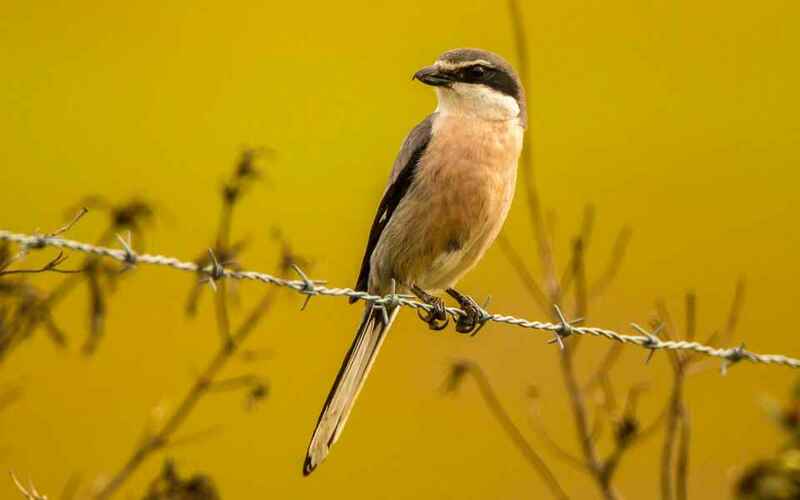 Butcher Birds are so called for their habit of keeping a "larder" of their prey stuck on spikes. 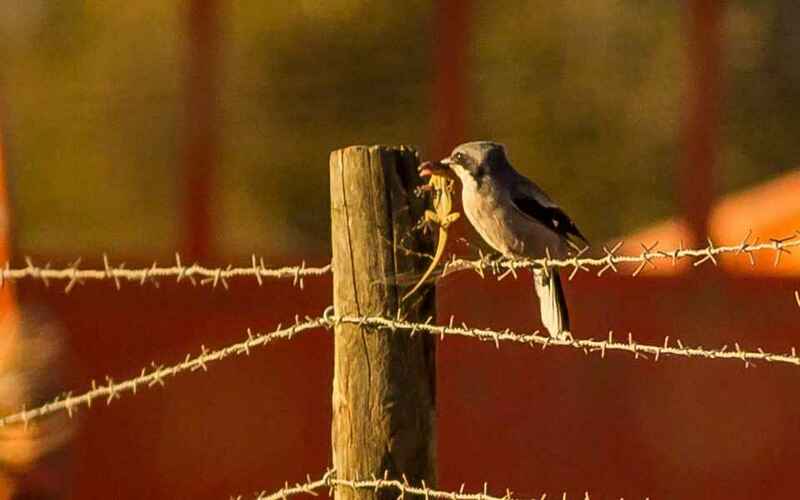 These spikes used to take the form of hawthorn trees etc, but these have now largely been replaced by the ubiquitous barbed-wire, and it is not uncommon to find a grisly row of beetles, crickets, lizards and skinks etc hanging from a roadside fence. 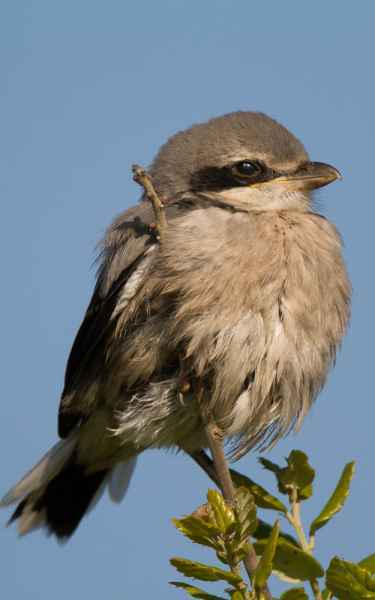 Sexes are alike, with a thin white line above the hook-tipped beak, prominent white wing bars and a very faint pinkish hue on the breast and belly. 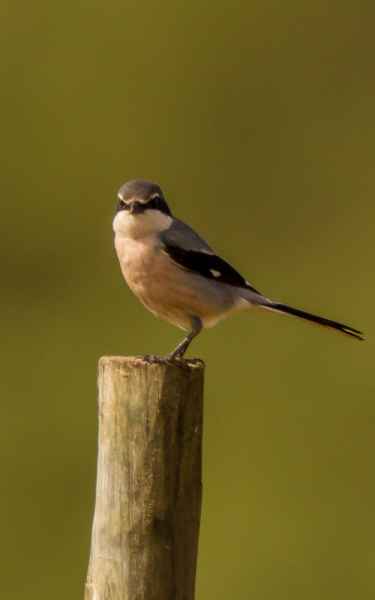 The bird is easily encountered as it sits in the open scanning the ground below for prey. 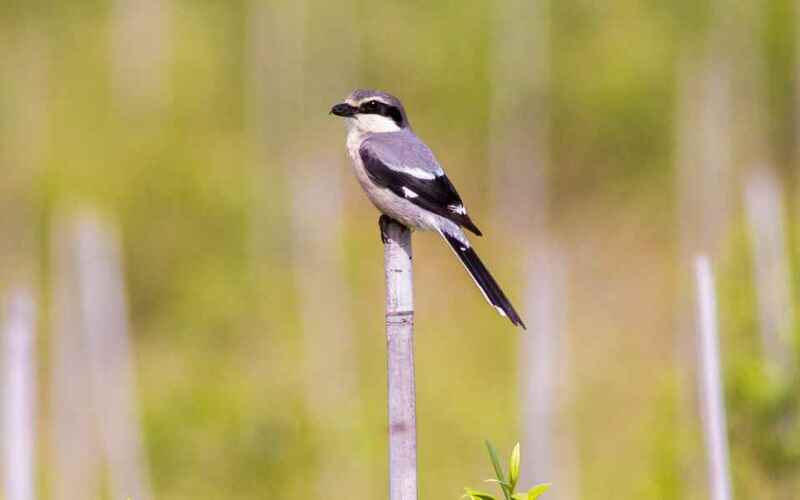 When leaving a perch it habitually jumps off and falls with wings folded before a rapid burst of wing-beats propels it quickly just above the ground and then a swoop up and onto its next perch.